Item # 280129 Stash Points: 2,995 (?) This is the number of points you get in The Zumiez Stash for purchasing this item. Stash points are redeemable for exclusive rewards only available to Zumiez Stash members. To redeem your points check out the rewards catalog on thestash.zumiez.com. 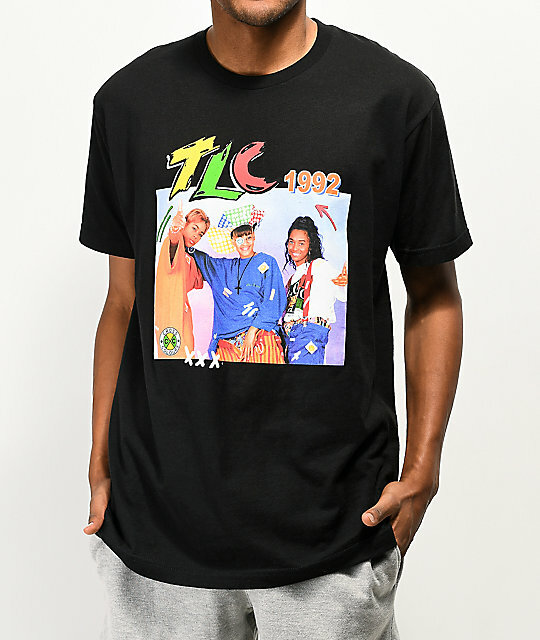 TLC consisted of Tionne "T-Boz" Watkins, Lisa "Left Eye" Lopes, and Rozonda "Chilli" Thomas and were huge in the 90s and the Cross Colours TLC black tee brings back an original image to your collection. So jam out to "Creep", "Waterfalls", or "No Scrubs" and keep the 90s alive. 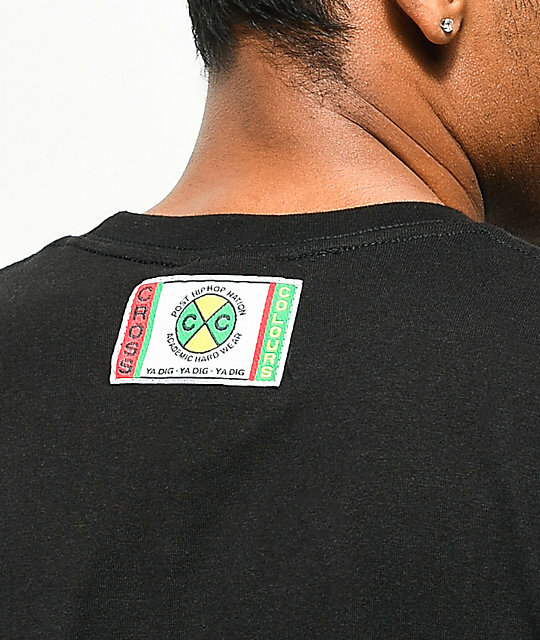 Cross Colours black tee shirt. Tionne "T-Boz" Watkins, Lisa "Left Eye" Lopes, and Rozonda "Chilli" Thomas from TLC. 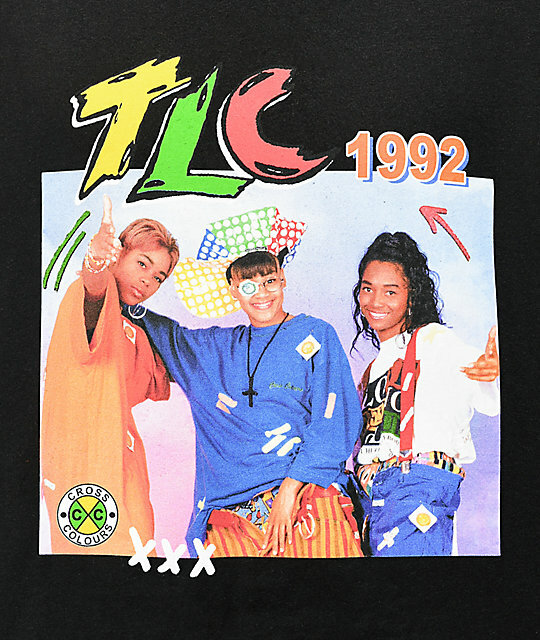 1992 Original image screen graphic of TLC.